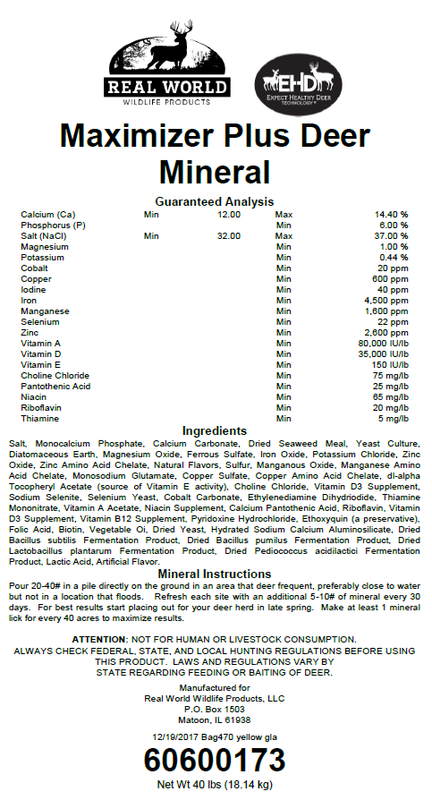 Real World Maximizer Plus Mineral by Real World Wildlife Products. 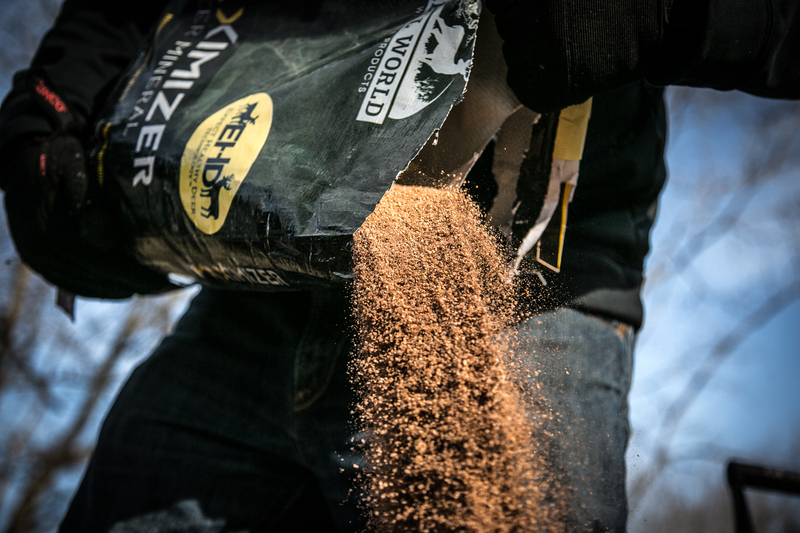 Real World’s Maximizer Plus Deer Mineral is exactly the same as our Maximizer but it also includes Real Worlds exclusive Expect Healthy Deer Technology®. 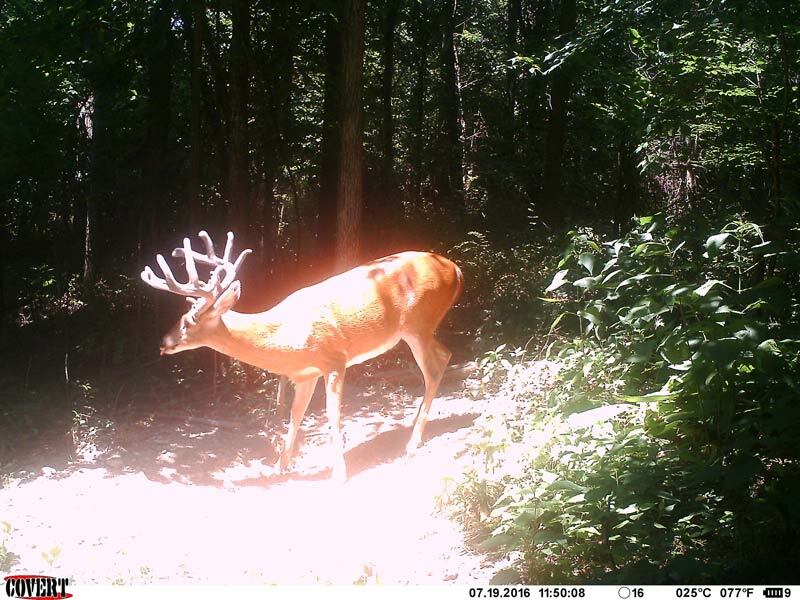 To learn more about this game-changing revolution in whitetail management, (click here). 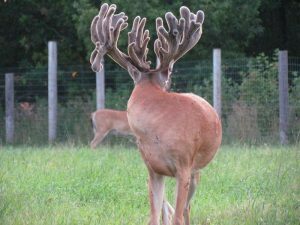 Maximizer deer mineral was developed after more than 20 years of extensive research with both captive whitetails as well as wild deer. 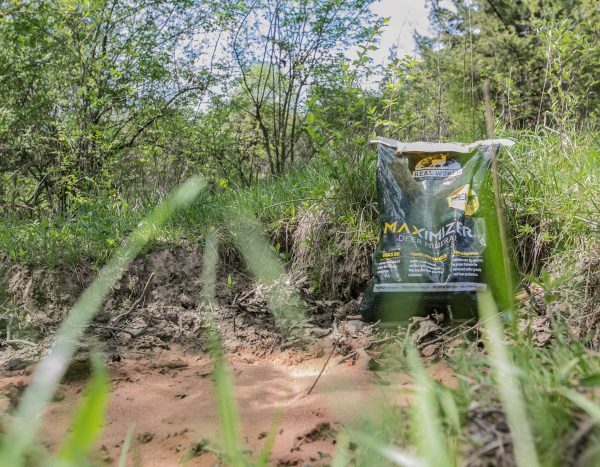 Unlike other salt-dominated products which offer very little nutritional benefit to deer, Maximizer Deer Mineral is specifically formulated with over 20 micro and macro-nutrients; many in precise proportion to each other. 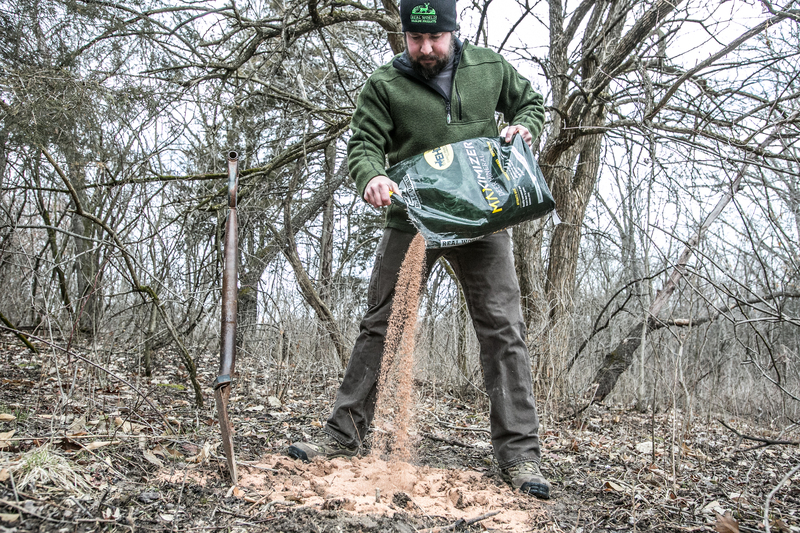 Most deer mineral products on the market WILL attract deer. 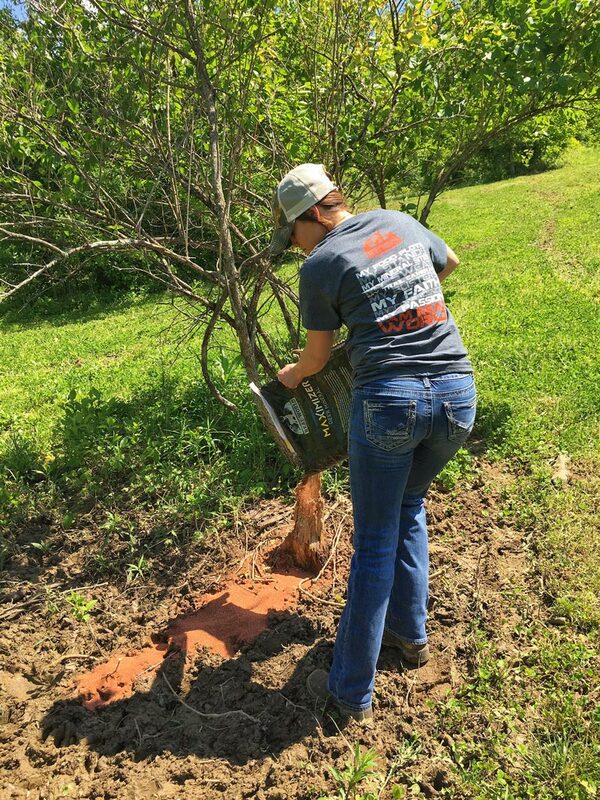 The difference with Real World Maximizer Mineral is that it can also help support your deer herd’s health, antler growth and fawn production while also drawing them in for your trail camera. 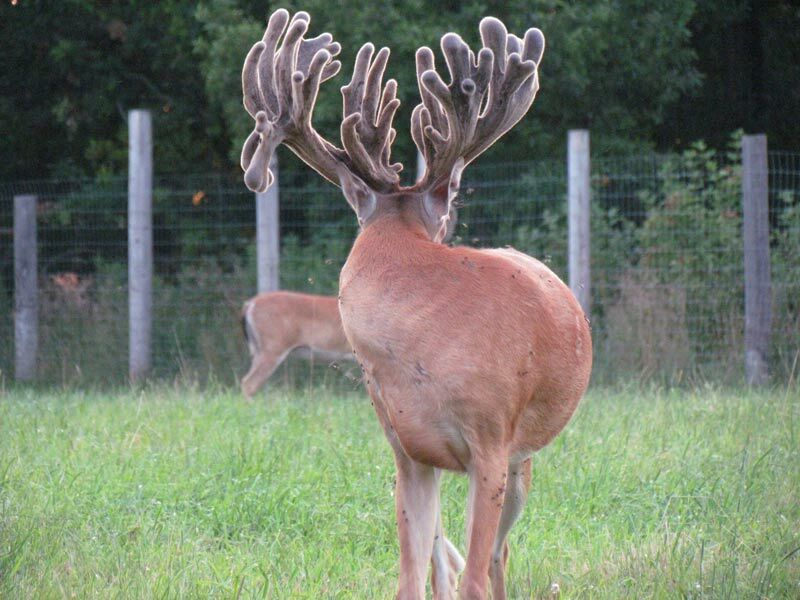 Why settle for JUST an attractant when you can support antler growth, fawn production and herd health at the same time? 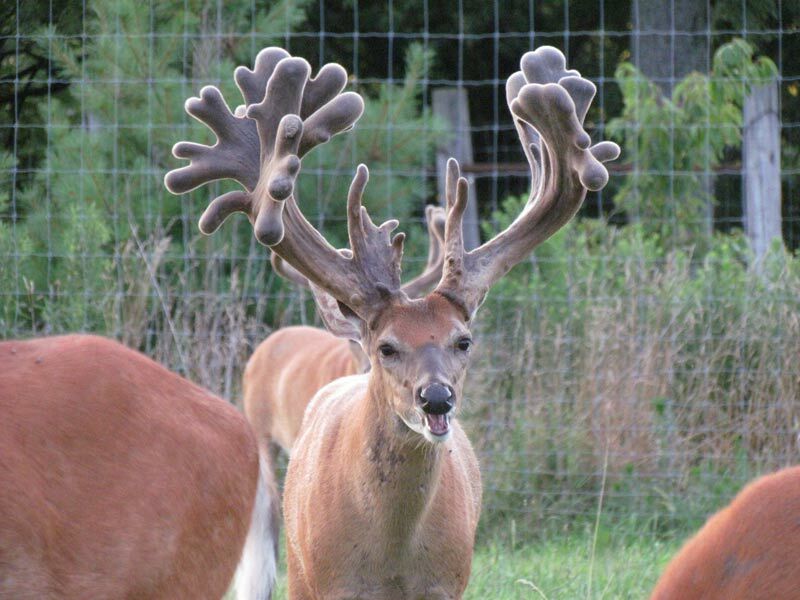 Click here to learn more about minerals and how they help your deer herd! Click here to learn more about Full Pallet Shipping! Note – During certain times of the year, specifically fall and winter, deer will consume very little mineral. If you put Maximizer out at this time and deer do not start hitting it right away, don’t be alarmed. If there are deer in the area they will find it and start consuming it when they need it. In late winter or early spring consumption will start to increase. By late spring deer will be hitting mineral licks very hard as bucks are growing new antlers and does are nursing fawns.